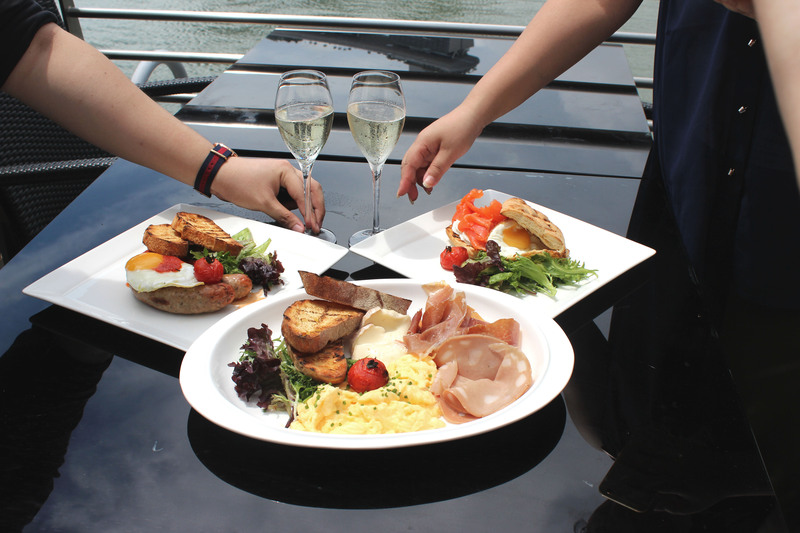 Why should you go for brunch at Procacci, Customs House (facing Marina Bay Sands)? Can you not see how happy I look? 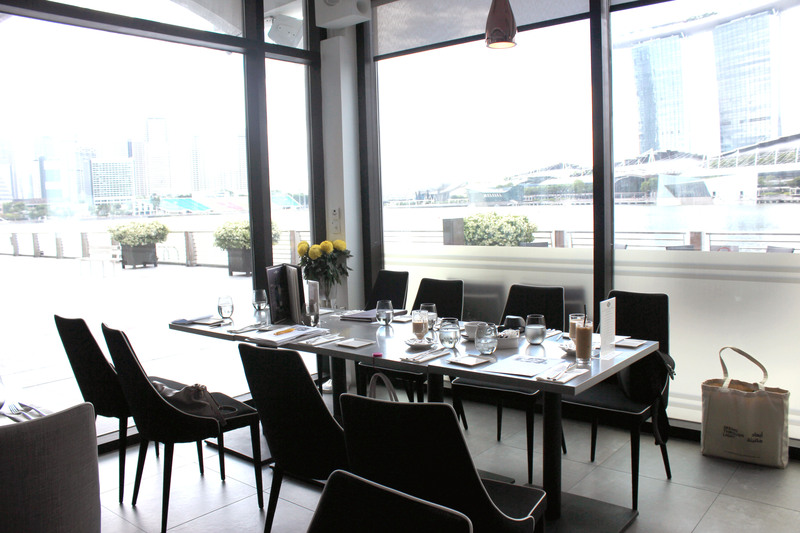 Located before Singapore’s winsome skyline, Procacci can be found at Customs House. 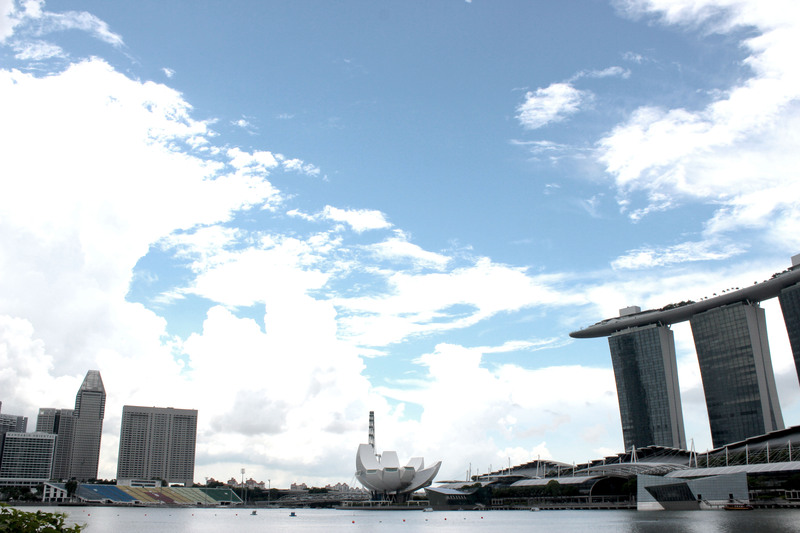 The view of Marina Bay Sands. See!! I was not joking. OpenRice members didn’t have a choice but to gawk along. Exterior of Procacci, Customs House – basking in Sunlight! Procacci is an Italian brand brought in to Singapore by Caerus Holdings (who also owns Lady M). This only one in Asia as the other 2 Procacci are in Vienna and it’s origin – Florence. Procacci owns Marchesi Antinori Wineyard = authentic Italian Wine and their own beer – Peroni. Our special corner for the tasting! Nice touch with the glass panels. When sitting in a corner is love. 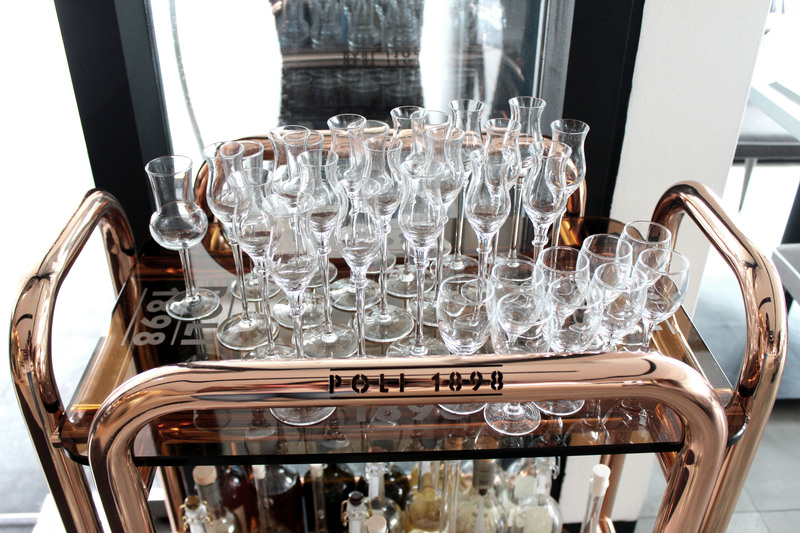 Upon entering, there’s this swanky glasses lined up! Brunch! 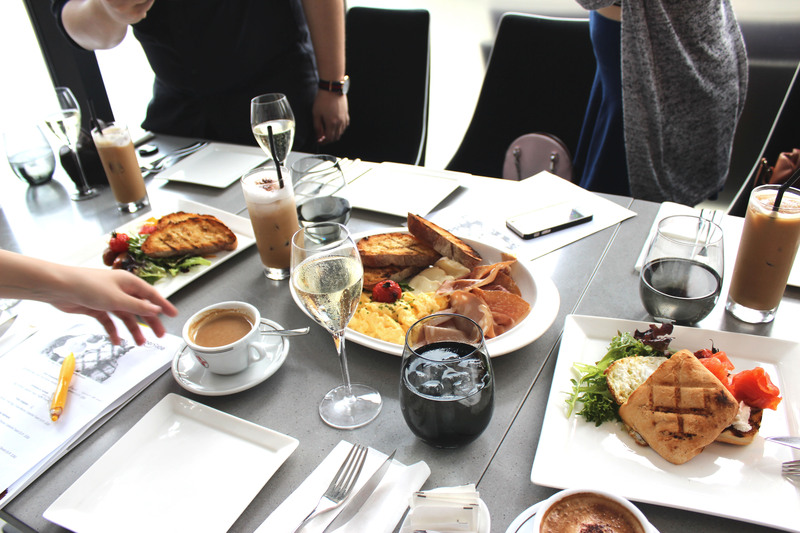 They’ve just rolled out their Brunch menu in May, which is available from 11am till 2.30pm and I was there to sample 7 out of 10 dishes that is available. But not alone, together with 6 OpenRice members! We started off with 2 vegetarian plates (out of 5) – Uova Stapazzate con Funghi ($20) and Frittate al Tartufo ($22), plus the Pollo Grigliato ($20). Uvoa Stapazatte con Funghi is a hearty dish filled with scrambled eggs (yay! ), saute mushroom, rustica toast and saute broccoli. Personally, I prefer the cibatta toast (served on other dishes) to the rustica. The eggs, mushrrom and broccoli came together for a complete vegetarian meal! Pollo Grigliato contained the grilled chicken breast, fried egg, crispy bacon and cibatta toast (yay!). I see eggs, I see bacon and I is happy. Fumo Salmone (top right), Salsiccia Italiano (top left) and Procacci Delizia (smack centre). Next up:Fumo Salmone ($20), Salsiccia Italiano ($26) and Procacci Delizia ($30). What’s going here? Yum yum yum SALMON!! 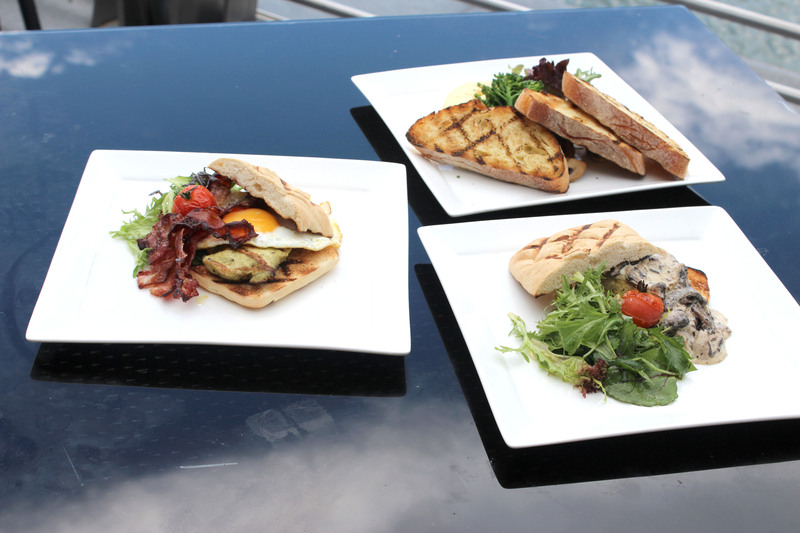 Fuma Salmone is a smoked salmon dish with fried eggs, ricotta cheese and ciabatta toast. Salmon, cheese and cibatta toast (yay!) – awww, yummy! This was the 2nd favourite dish from us all. The Salsiccia Italiano a plate filled with grilled spicy Italian sausages, fried egg, rustica toast and arrabiata sauce. And that was one lovely sauce that brought the whole dish to a level up! This plate does (however) pale in comparison to the other 2 dishes (for me). Big breakfast Italian style? Procacci’s got the Procacci Delizia – fully packed with mortadella, parma ham, taleggio cheese (WOW! ), scrambled eggs, rustic toast. This dish is the most expensive on the current menu and with such a generous portion – you can definitely share it with someone. Round 2 rescued from the outdoor, laid out before us and ready to be eaten! Upon request, we had Uovo Benedetto ($22) which come with poached egg, caviar, crispy bacon and hollandaise sauce. There’s something about poached eggs that everyone loves to slice open and watch the yolk spread out! The hollandaise sauce was just nice (quantity) and not overwhelming. Eggs poached to pretty-good-level and the bacon added the crisp to this plate. Drinks option: On regular basis (now included) you can enjoy free flow beverages inclusive of Prosecco, Peroni beer, soft drinks and juices for $35. If you to non-alcoholic it out on a Saturday, simply get the $15 free flow of soft drinks and juices for just $15. Procacci also offers other beverages such as tea and coffee on their menu. Check out the rest of the OpenRice Members review here. Now for some behind-the-scenes photos. (of OpenRice members taking photos of food and fooling around! Procacci’s Marketing Manager helping out by being our hand model! Someone caught me taking photos of them! Oops! Fooling around with Janel and Procacci Manager caught us in the act! Elphin getting the right angel and got photocepted! Overall, I’d go again to enjoy the view with a good company of friends! 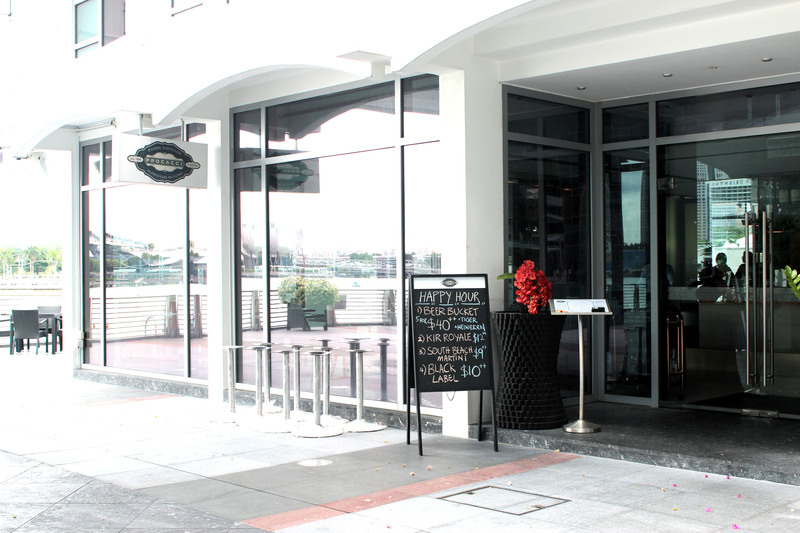 Especially so for this month with their free-flow Prosecco going on at just $25 per person promotion. Click here to view their other promotions! All images were taken by yours truly, for OpenRice Singapore. Most images were edited by our Designer - Kaeting. 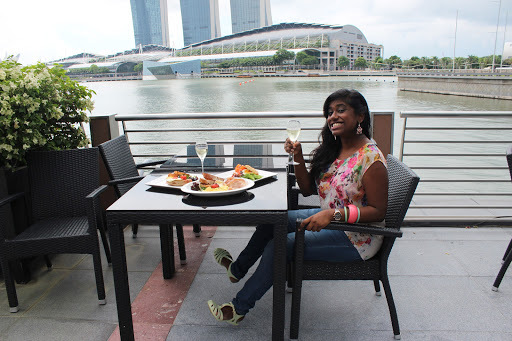 Previous Previous post: Woodlands Waterfront, Things to do in Singapore! 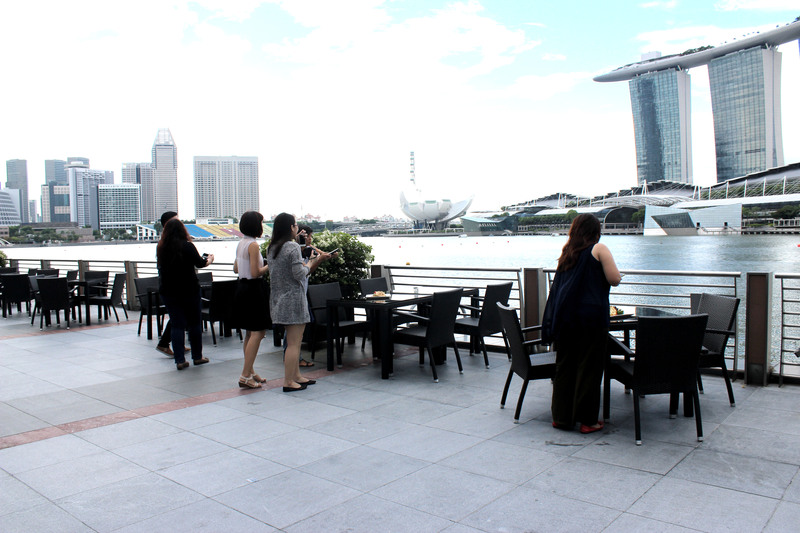 Next Next post: Dim Sum Dollies – Esplanade Escapade!